Every Sunday at 8:00 pm PST, writer Derrick Jensen hosts a radio program called Resistance Radio on the Progressive Radio Network, in which he interviews activists “working toward the revolution in values we so desperately need if we are to stop this culture from killing the planet”. An archive of these interviews is given here. Comment by JM: "Thanks so much for resistance radio. I'm running out of books to read and the bombardment of this culture needs a constant rebuttal. Fantastic voices each week; it's one of the things that keeps me fighting these insanely uphill battles. Not for a false hope, but a truth that's always been there. Life wants to live, we can facilitate a fighting chance"
explores different approaches to personal, relational and societal transformation. Levevei is a Scandinavian word that translates as “livelihood” or “vocation”, but it could also have the connotation of “way of life”. produces the longest-running and most successful independently produced interview program in the history of public radio. We feature leading-edge thinkers, scientists, artists, healers, ecologists, spiritual leaders, and social architects in award winning, deep dialogues. We have over a thousand MP3 programs that you can purchase and download. podcasts about permaculture, interviews, etc. 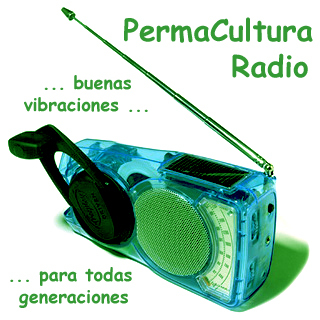 Sustainable World Radio brings you interviews, news and commentary about ecology, Permaculture, organic gardening, sustainability, natural building, regenerative farming and ethnobotany. Since 2004, Sustainable World has interviewed experts from around the globe; teachers, designers, environmentalists and earth activists who learn from and work with Nature. have an interesting & radical podcast series.